You have to cope with the limitation of your energy? You will be surprised about the amount of energy which lies within you! Tap your full potential! Go directly to the root of your energy!!! 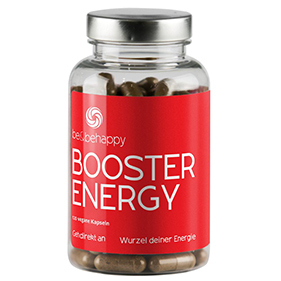 The Booster Energy increases your energy in a natural way. It goes directly to the root of your energy by using the ancient wisdom of Ayurveda and contains digestive herbs and spices. It is based completely on natural, vegan raw materials. It is safe and effective, making you feel energized. Plus it is made in Germany. And the energy comes from a well-balanced blend of ayurvedic herbs and spices – not from caffeine or stimulants. You have to face the fact that youth just depends on age? You can experience the inner glow and power at any age by awakening your internal spirit! Your daily ritual for more flexibility, creativity and beauty. 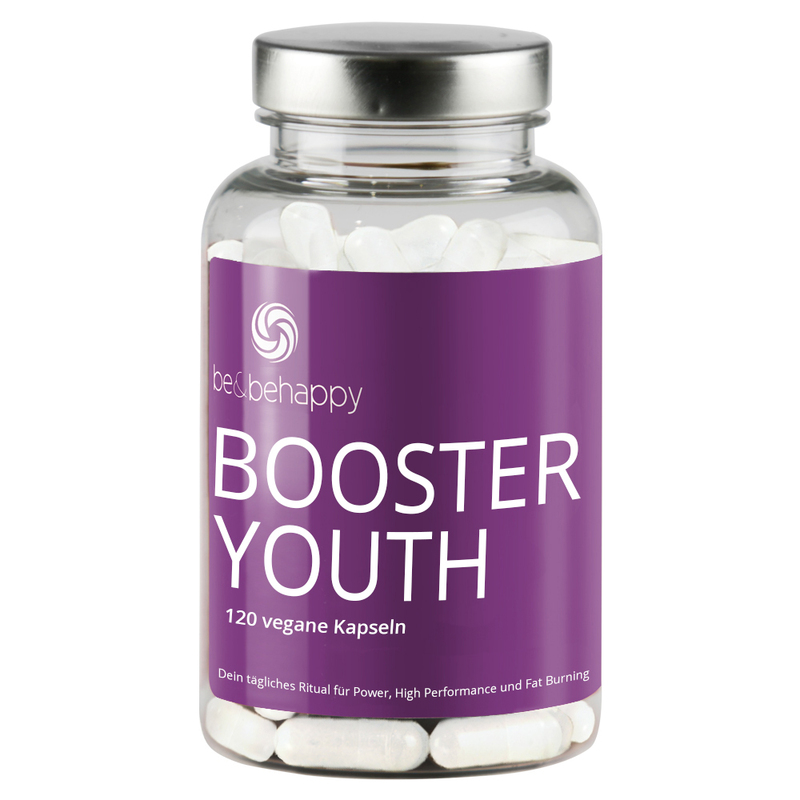 The Happy You Booster Youth is your daily ritual to give your body essential building blocks. Our natural vegan sourced amino acids are combined with „the“ ayurvedic power plants Ashwagandha and Amla. Ashwagandha is traditionally used to improve overall strength, immunity and rejuvenating effects. Amla is one of the most important herbs in Ayurveda and has strong antioxidant properties. Our Booster helps you to build youth all over. And of course it is made in Germany.